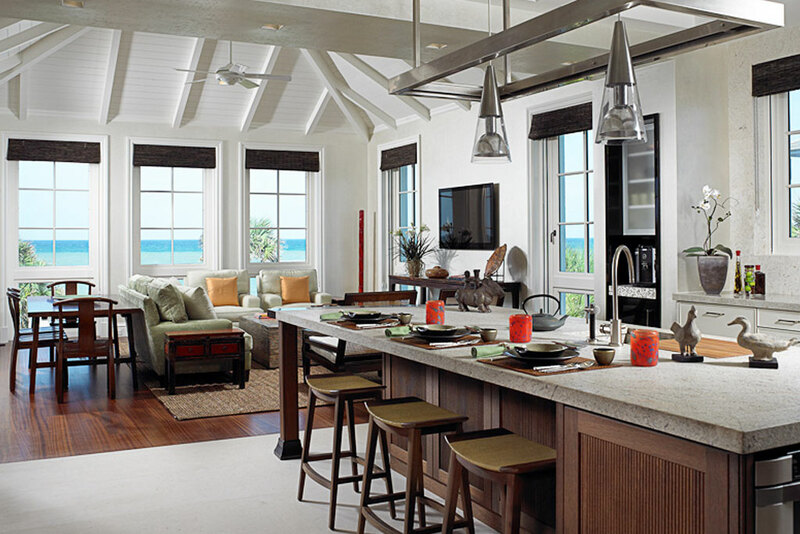 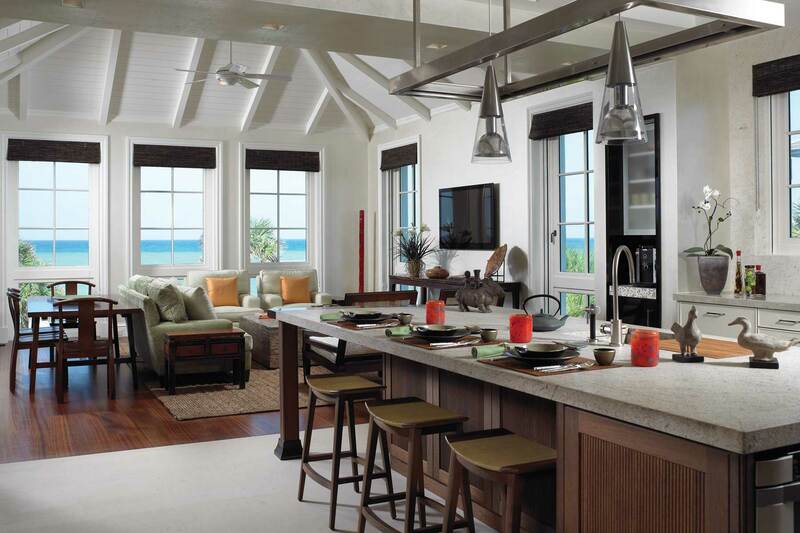 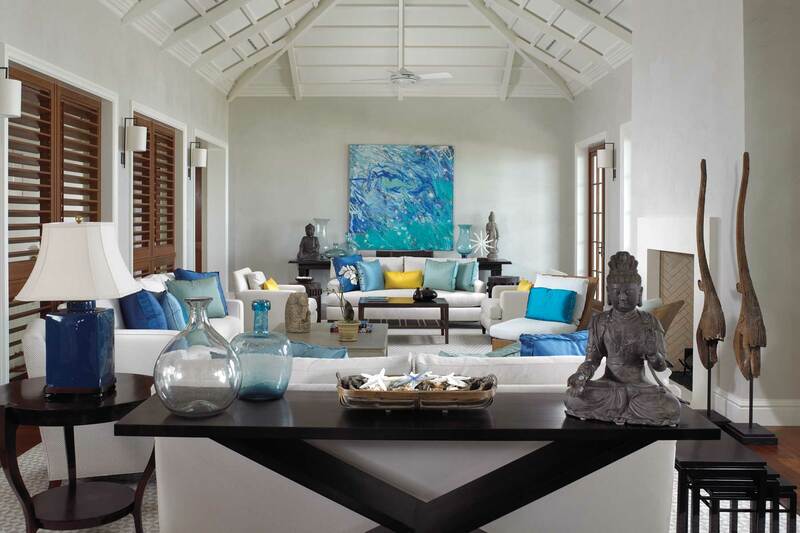 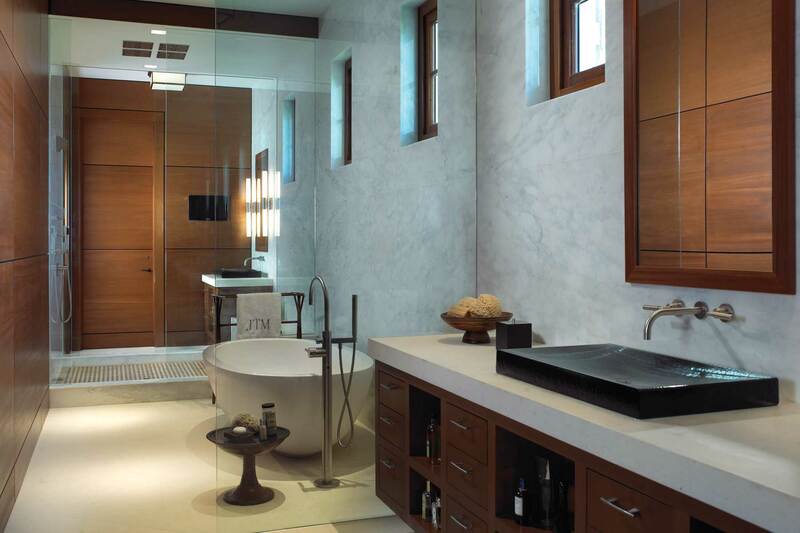 In the case of this 10,000 square foot oceanfront beach house, Spectrum’s goal was to create an elegant beach house with contemporary styling and Asian influences that incorporated the homeowner’s love of Asian textiles, antiques and design philosophies, which they acquired through business travels and family connections. 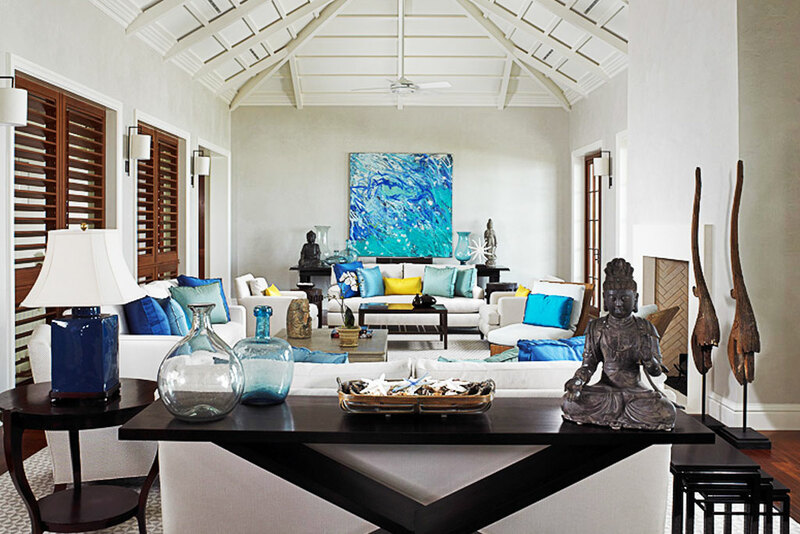 A challenge the designers encountered was how to repurpose and blend the antiques, furniture and Asian artifacts from the first home they had designed into the interiors of the new home. 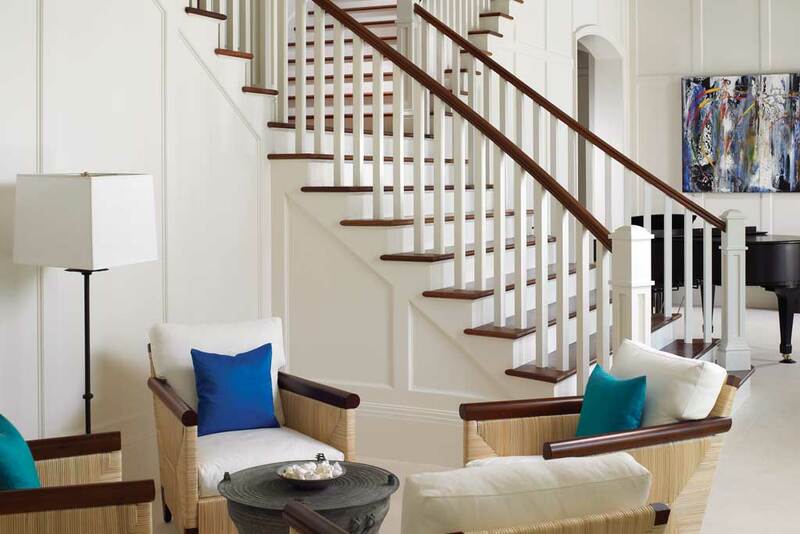 In the end, the function of many of the pieces differed from use in the original home—yet they worked just as well in their new setting. 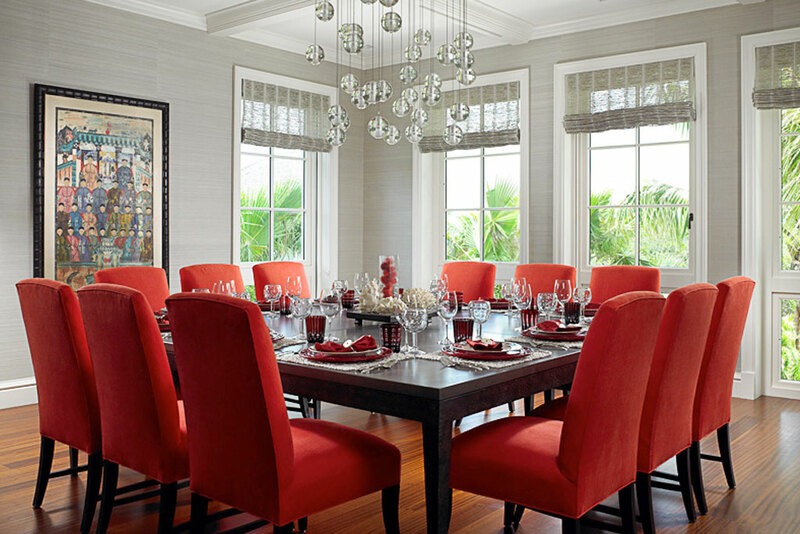 For example, a dining room banquet table from the first home was placed in the new living room under artwork displaying accessories and artifacts. 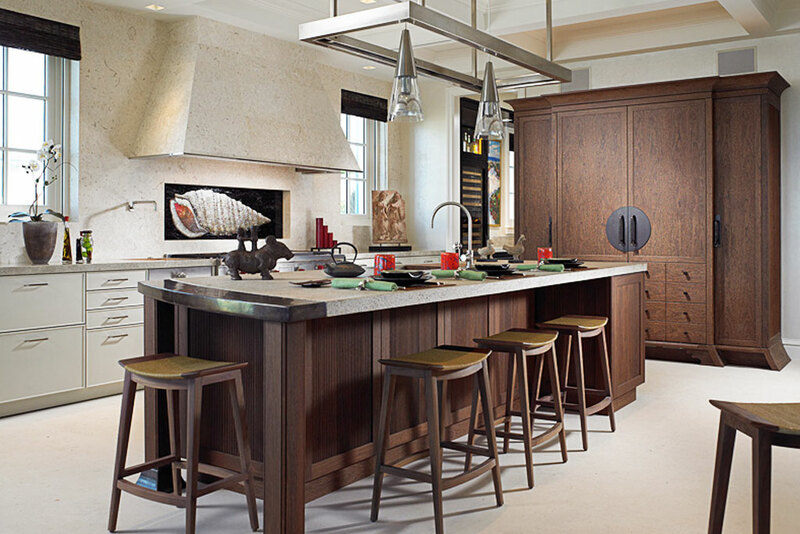 In another instance, existing chairs were coupled with a newly designed dining table that features a stained concrete top and custom iron base. 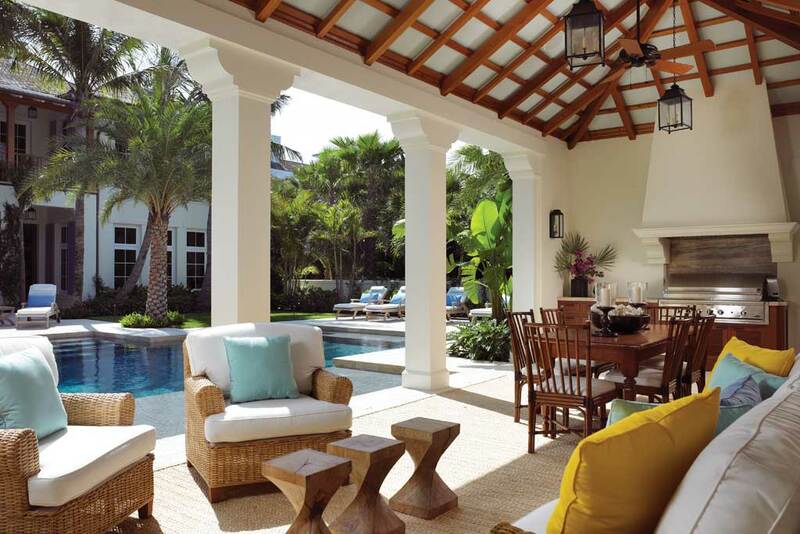 Throughout the residence, white, clean lines of the Caribbean-influenced ceiling details and millwork contrast nicely with neutral-colored, contemporary furnishings, rich-colored wood accents and cabinetry, Asian-inspired textures and the bright pops of color found in accessories that hint at the seaside locale. 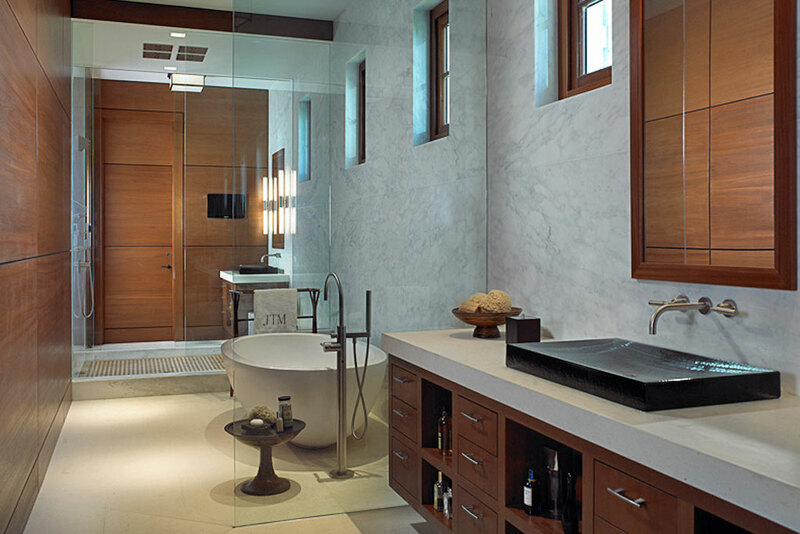 The resulting spaces achieve the designers’ goal to seamlessly blend diverse elements to create quiet, contemplative spaces.